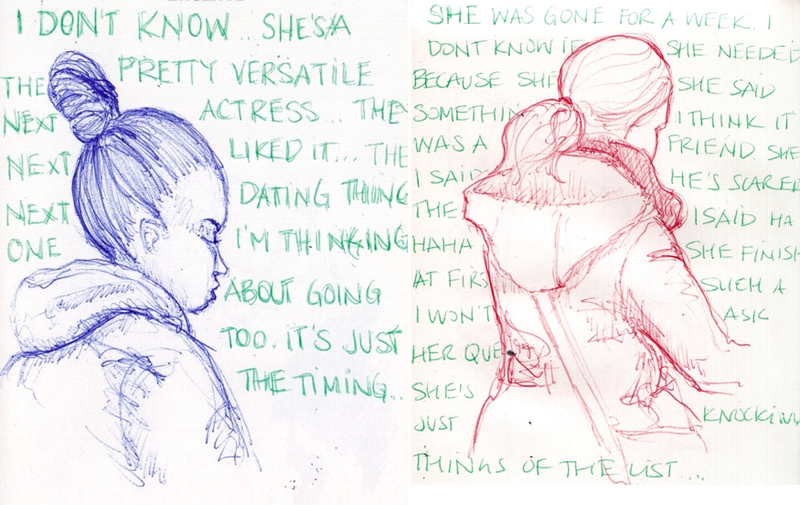 There are various triggers when it comes to choosing a model to sketch in the subway. For the two drawings above it was the models' hairstyle. The one on the left had a really high bun and I like her way the hair was wrapped above her head. The one on the right presented a great opportunity to study how hair falls in a loose ponytail. She was standing and reading a book. I've also taken a liking to add snippets of conversation I hear in the subway. Coincidentally on both occasion they were talking about a girl.